Recently, but before I started this blog, Greyhawk Grognard posted a fan-made map of the city based on the map from Gygax's novel City of Hawks. The download is big but the old-school feel of it is worth the effort. Thanks go out to Joe Bloch for sharing and Alex Camacho for his work of art. Many of you will also be familiar with the revised map from the "blue box" City of Greyhawk done by Maldin back in 3rd edition, for the Living Greyhawk Journal. While out of print now, Maldin's site also includes his revisions for the city's sewers that never saw print by the RPGA. These maps can still be found on his site, in addition to pop-up labels for locations. Greetings, Greyfans. 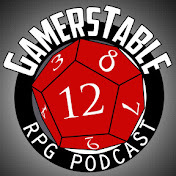 As some of you may or may not have noticed, there is no Greyhawk Comic this Thursday. Well it's Thanksgiving holiday, not that a holiday has ever stopped me from putting out a comic mind you, but this year I've literally been slaving away at a lengthier comic for issue #298 (Spoiler, it has to do with Spinecastle). The next three in fact should be lengthier and thus require some substantial writing in addition to art. This is why I have Greyhawkery now, to fill the dead time between Greyhawk-fixes. Ain't that grand? Everyone have a good weekend and stay tuned to the blog for more Greyhawk matters and the eventual release of comic #298. For some reason I couldn't adequately work this into any of my comics, but several weeks ago it was pointed out on the ENWorld forums that 2010 is the 30th anniversary of the World of Greyhawk Folio. Just like the original poster of the thread, I started playing Greyhawk with the 1983 boxed set version and had to go back and collect this earlier product. The folio as shown above was a folder that contained two slim booklets with bare bones information on the setting, and the same Darlene maps that everyone would come to revere. I highly reccomend this product to any collector of old D&D books. Anyhow, read the forum thread and see MerricB's take on the Folio and the indepth discussion that spins off from that. James W. Ward, famed game author and one of the original players in Gygax's Greyhawk campaign has been in the public eye alot recently. First off, Jim is really ill, but should be treatable. This donation page explains alot of the details. Second, he did an interview not long ago for Dragon Magazine to coincide with Wizard's D&D: Gamma World RPG. 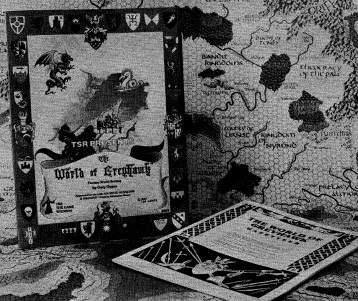 The article contains some interesting history about Gamma World, Metamorphosis Alpha and Gygax. It also touches on Greyhawk's own, Expedition to the Barrier Peaks of course. Read the article HERE. Enjoy! 2. Now, many of you readers of the World of Greyhawk Comic have been following my long standing cultist mystery. The answer is almost here with only 3 more issues till #300. 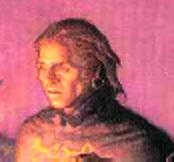 For those of you who are reading this for the first time, I've been building up clues to two characters' identities; that of two well-known canonical Greyhawk NPCs. Curious? Check the link, go back and read the run of Cultist comics and see who you think they are. 3. In the meantime, here is the next clue: Cultist #1 (the arcane one) and Cultist #2 (the martial one) have both demonstrated that they have an intense hatred of the demigod Iuz. In fact they have canonically worked to oppose him in the past, yet neither have actually made that much of a difference against the Old One. That's all I'm saying this week sorry! More next time!